Trek to Everest Base Camp with Ian Taylor Trekking. We have the team in place in support of our trekking adventure into the Himalaya’s in Nepal. Have you ever had a dream of trekking through the World’s highest peaks in the magnificent Himalaya’s in Nepal, with looming giants like Everest, Lhotse and Ama Dablam towering over head? Do you want to take on a challenge, try something different, or push your body both physically and mentally to reach new heights? Well, here is your chance” Join the Ian Taylor Trekking crew, led by Everest Summiteer, Ian Taylor, to experience this trip of a lifetime! Read some reviews. The two week journey in to the incredible Everest Region of the Himalaya’s will start in the bustling capital city of Kathmandu, Nepal. Kathmandu stands at 1,400 meters above sea level in the bowl-shaped Kathmandu Valley of central Nepal. This exciting city is filled with many fascinating cultural sites, including multiple UNESCO World Heritage Sites. You will stay in the Thamel District of the city, which is filled with guesthouses, shops, restaurants, pubs, and also within close distance to many attractions, such as Durbar Square, the Monkey Temple, Pashupatinath Temple, Boudhanath Stupa, and Swayambhu Stupa. 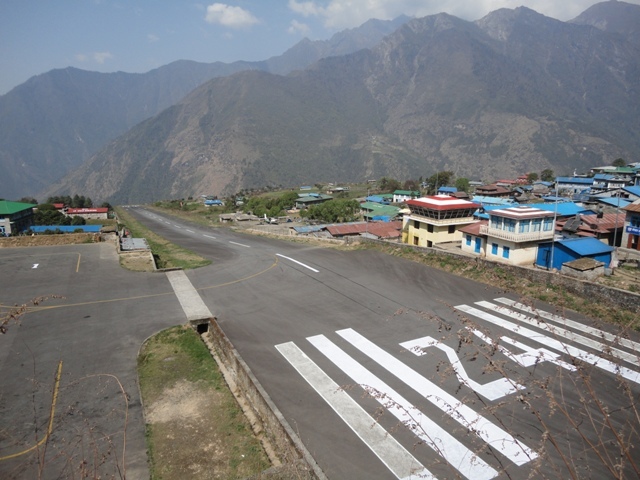 During the first successful summit of Mount Everest by the British Expedition in 1953, the team began their journey, on foot from Kathmandu, however, we are a bit luckier today as we are now able to take a short flight into Lukla, a small village at the foothills of the Himalayas! with a panoramic view of the Himalayan Mountains, including the well-known peaks of Tawache, Everest, Lhotse, Ama Dablam, Nuptse, and Thamserku. on Mount Everest. 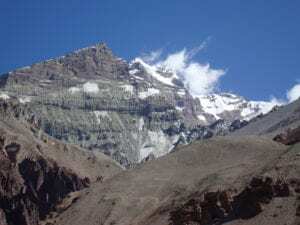 We will continue on to Gorak Shep at 5,164m, which is the final acclimatization stop on our way to Everest Base Camp. 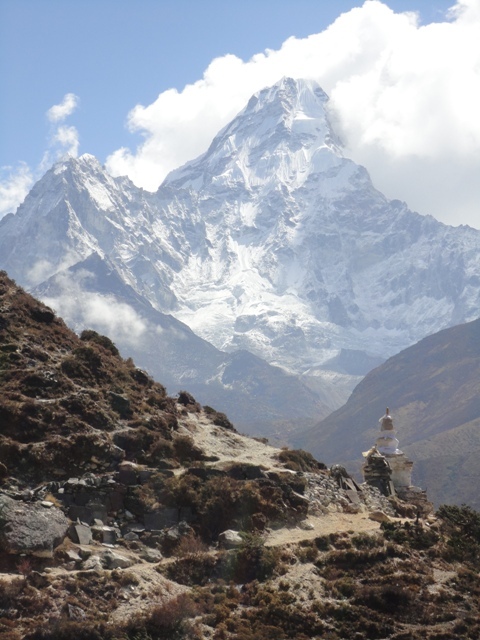 From Gorak Shep you will only have a short walk into Base Camp and get the chance to stand at the base of the infamous Khumbu Icefall, which claims many lives every year when people are attempting to summit the world’s highest peak. 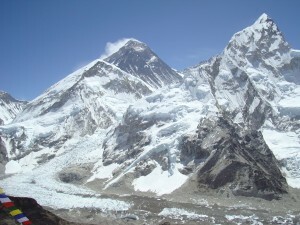 We will also have a chance to summit Kala Patthar (5,545m) to get the classic view of Mount Everest in all her glory! 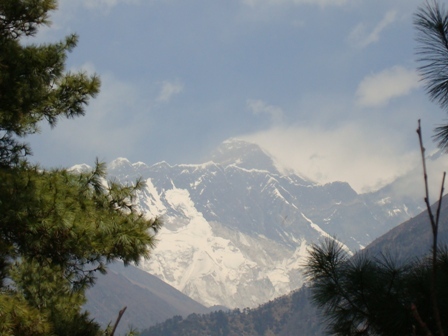 This spectacular trek takes eight days on the way up and three days back down to Lukla (with time spent in Namche Bazaar on the way back down to have a celebration drink in one of the pubs) and can be completed either from March-May or September- December. The walk through the Himalayas is a stunning journey from start to finish and allows you to not only be able to see the incredible scenery of the highest mountains in the world, but you are also given the opportunity to meet the local Sherpa people and see the way they live. If you are interested in taking on this amazing adventure to Everest Base Camp, all you need to do is get in touch! Contact us by email at info@iantaylortrekking.com or Call us and find out why we have the best acclimatization schedule and service in the Everest region of Nepal. 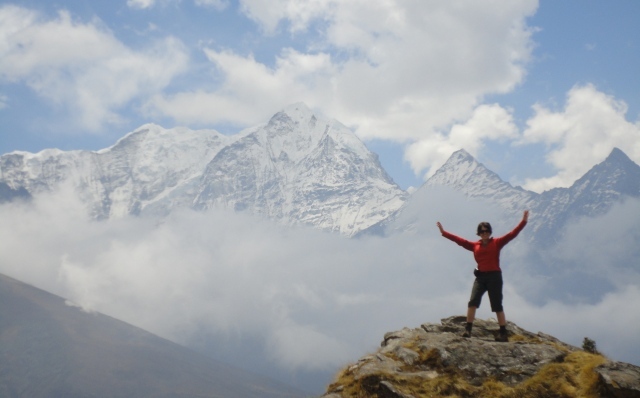 you need to do is gather ten other excited hikers to join you on your Trek to Everest Base Camp. *Free trip does not include your international flight to Kathmandu, Nepal.